From expansive backyard decks, to simple front entranceways, and everywhere in between. 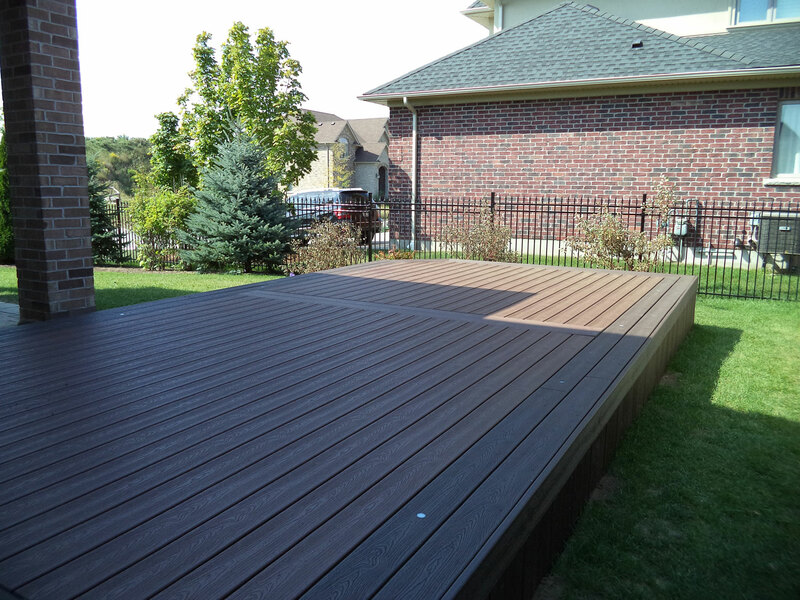 Any outdoor living area can benefit from Premier Fencings line of vinyl decks. Vinyl deck installations provide a wonderful area for family gatherings, friendly get togethers, or an ideal backyard escape, but the more we use our outdoor oasis, the more wear and tear appears. 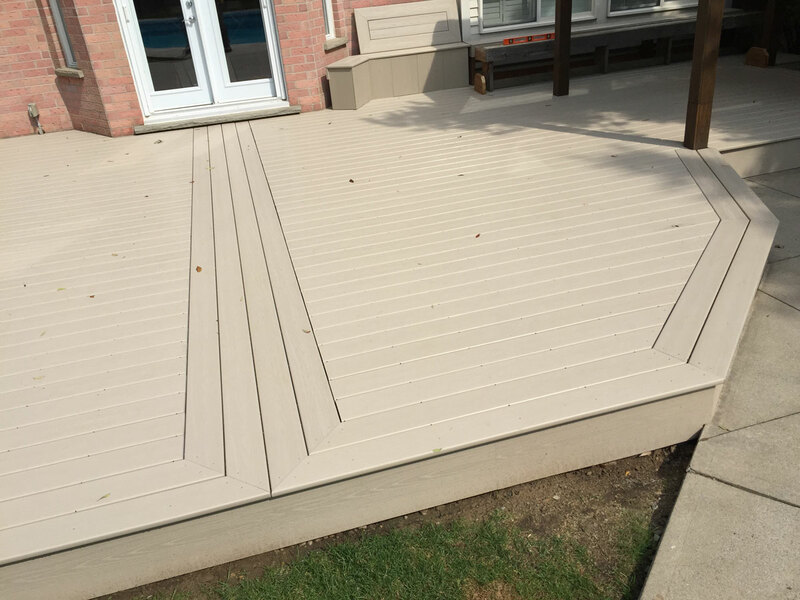 Fortunately, vinyl decking allows for all the fun without the regular maintenance required when combating the wear and tear that accompanies regular wooden decking. 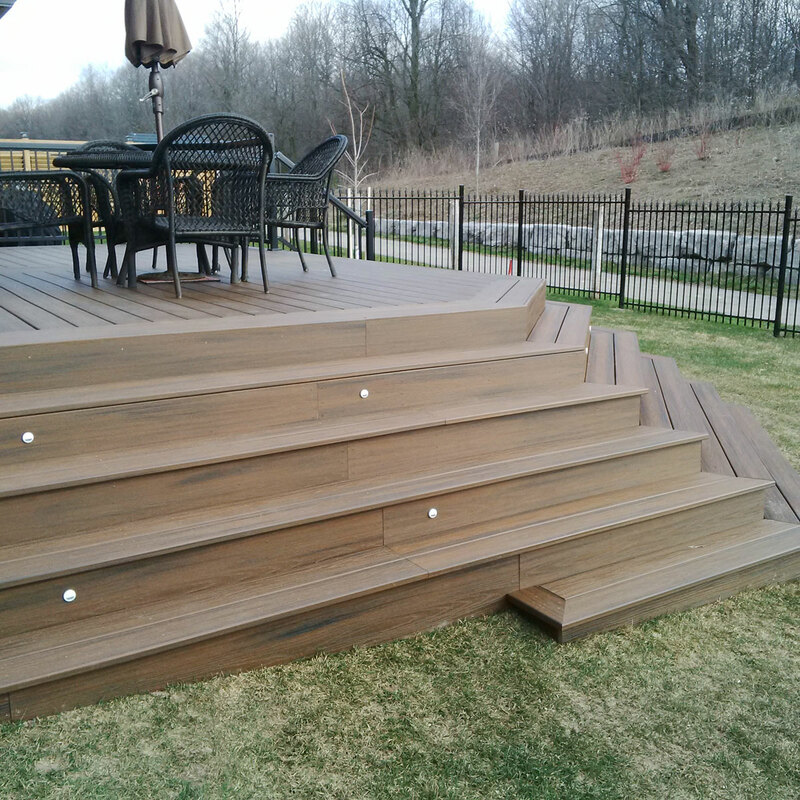 Maintenance is a breeze with your vinyl decking, simply sweep and clean with water. Vinyl decks are ideal for a busy family and are extremely dense making them nearly 100% resistant to surface scratching. Spend more time enjoying the serenity of your backyard with a new vinyl deck and look forward to coming home to your backyard escape. A vinyl deck is the perfect complement to any backyard. Whether you are looking to start fresh or refresh a pre-existing structure, our friendly knowledgeable staff members are here to help. No deck is too big or too small. We are dedicated to making sure you receive affordable quality products and excellent service. 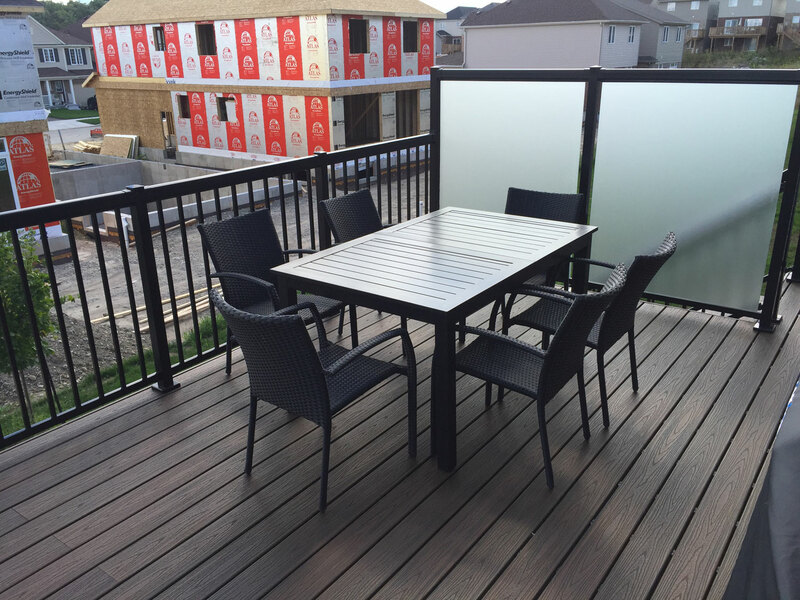 We offer composite & vinyl deck installations to give you peace of mind and ensure the best quality deck. Get exactly what you’re looking for with a variety of finishes available when choosing your vinyl deck installation. Ranging from wood-grain to two-tone color finishes, we have exactly what you’re looking for. Once you have decided on your ideal finish, choose from a large selection of add-ons including fascia, skirting and customized lighting, to give your backyard the photo finished look you have been dreaming about. 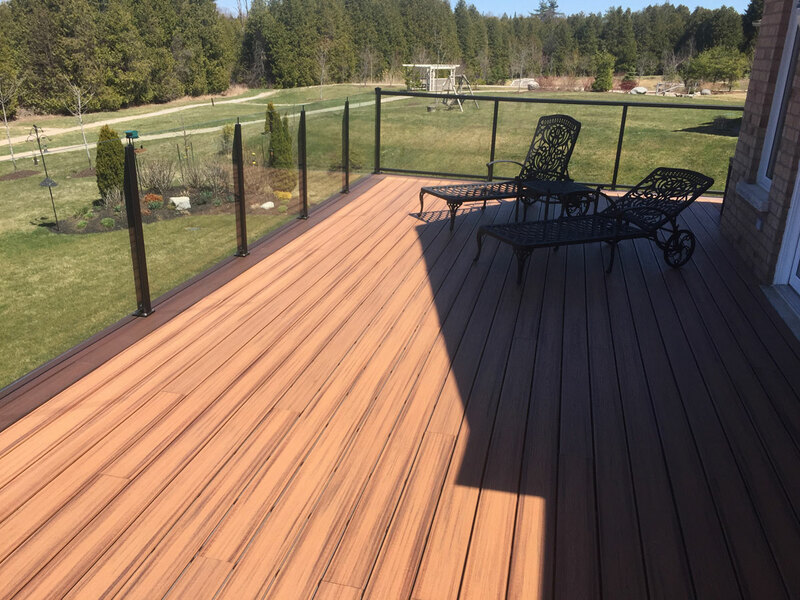 Durable and Cost-Effective Residential & Commercial Decking As vinyl decking is 100% waterproof, it ensures long lasting quality color and finish. It is undoubtedly an improvement to any home. With warranties ranging from 25-year to limited-lifetime, Its value holds true and is both a great investment and sure to increase value in any home. 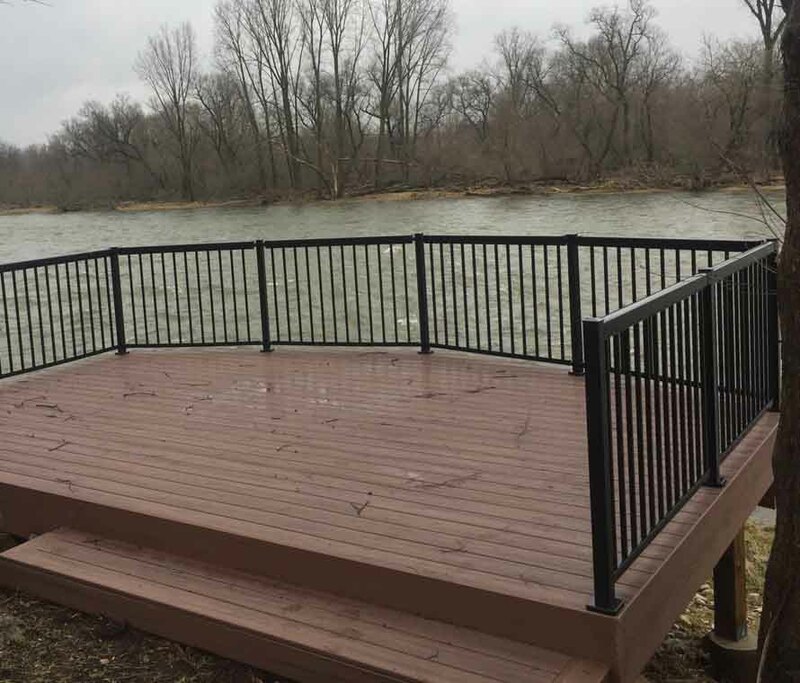 From single family homes to large commercial developments, Premier Fencing will work with you to take care of all your outdoor fence and deck needs. Take advantage of our services and extensive two-year warranty, contact our friendly staff members to arrange for a free, no obligation estimate today. 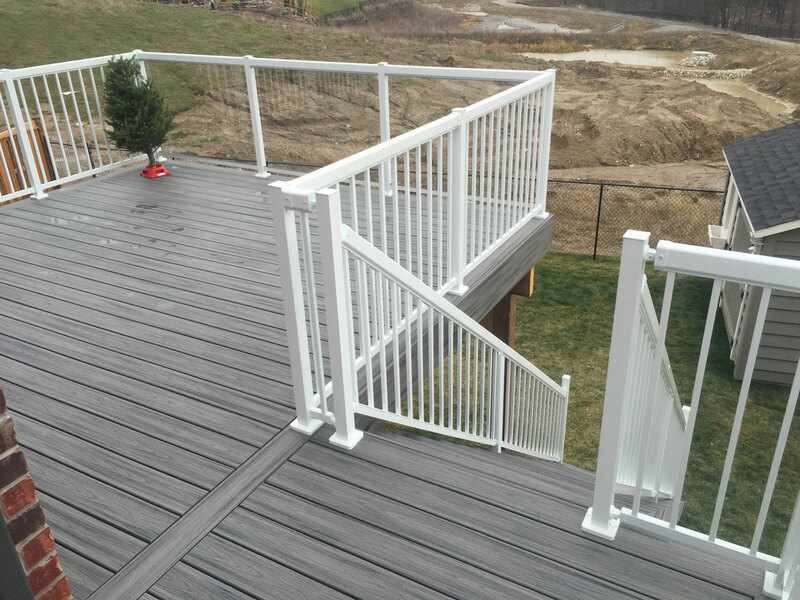 Contact our sales desk at 519-500-5545 or by email at sales@premierfence.ca. If you are in the area feel free to drop by the office at 480 Conestoga Rd., Waterloo. We look forward to working with you on your vinyl deck design and installation. Don’t stop with vinyl decking, we also offer vinyl fencing to complete the look.